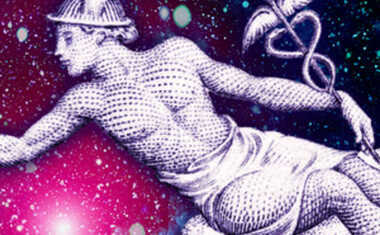 Make this Mercury Retrograde Work for You! Brace yourself ... another Mercury Retrograde is on its way! From March 22 to April 15, 2018, Mercury will be retrograde in the fiery sign of Aries, the first sign of the zodiac. No matter what your sign, you will feel the effects as Mercury moves backward through the cosmos! Mercury is the planet of thoughts, details, communication, and short-distance travel, and it influences what happens in our immediate environment. When retrograde, these things that Mercury rules can go haywire, causing more confusion, miscommunication, and mishaps than usual. Because of this, Mercury Retrograde is a time that's dreaded by many -- but it doesn't have to be! After all, Mercury goes retrograde 3-4 times every year, so we might as well find a way to make it work for us! Get straight answers to the questions you have during Mercury Retrograde with advice from a Yes or No Tarot Reading! The truth is, there are a lot of positive benefits to Mercury Retrograde. While Mercury moves backward, we have a chance to revisit things that we left behind or that were never really resolved. And because this retrograde is happening in Aries, the sign of the self, the things that resurface could affect us on a very personal level! When Mercury turns retrograde on March 22, it will conjunct Venus, the planet of love, which makes current and past relationships a key theme of this entire retrograde. Feelings, conversations, and experiences from your romantic past may resurface now, giving you the opportunity to find solutions to these long-standing issues and finally overcome the things that brought you pain. Is there a problem between you and your lover that was swept under the rug instead of being fixed? This problem may come up again now, giving you a chance to solve it for good. Is there a lover in your past that you regret letting go? This person may reappear in your life during this retrograde, allowing you to either find the closure you need, or revisit this relationship to see if things have changed for the better. Still, this retrograde is happening in Aries, the sign of the individual, making this a very important time to consider YOUR role in love and relationships too. Have you sacrificed too much of yourself in order to please someone else? Are you responsible for your own future, or do you expect another person to complete you and make you happy? Or, maybe you're so focused on the needs of others that you regularly neglect yourself. Ask yourself the tough questions now: there are solutions available to you that weren't available before, and they could totally turn around your perspectives about love if you open yourself to them. There is no sign more focused on the self than Aries, and this Mercury Retrograde in Aries gives you the chance to rethink and rework yourself at your very core. You as an individual hold so much power, but you may not be using it to your advantage. Maybe you don't feel confident in a certain role in your life, or you have a hard time speaking up or defending yourself. While Mercury retrogrades through Aries, you have the opportunity to reflect on who you are and identify the reasons you may not be living up to your full potential. Once you connect with your feelings of struggle and pinpoint the real cause of them, you can find solutions that will help you embrace your courage and find where your strengths DO lie. 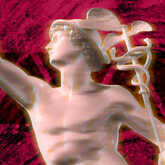 Mercury in Aries makes our thoughts and communications very direct, urgent, and sometimes selfish. Mercury has been in Aries since March 6, and during this time you may have ruffled a few feathers by coming across as harsh or uncaring. Thankfully, Mercury Retrograde in Aries gives you a chance to go back and fix things. Over the past few weeks it may have been difficult for you to understand why or even care that someone else was turned off by what you said or how you said it. Now, though, you can rethink these situations and realize the impact of your words. When you understand where things went wrong, you can readdress the issue and smooth out the wrinkles in your friendship. For the best results, wait until Mercury turns direct on April 15 to have a make-up conversation, otherwise your attempts to fix things could backfire. By March many of us have derailed from our New Year's resolutions ... but now you get a second chance! Mercury Retrograde is a great time to revisit goals you had in the past. And with the self-focused influence of Aries in this retrograde, the personal changes you wanted to make have a real chance for success now -- especially goals related to activity and fitness. What's more, the Sun is also in Aries and Mars is in Capricorn during this retrograde period, giving you a level of energy and ambition you may not have had before. Revisit, rethink, and rework! Mercury Retrograde is a prime time to polish or finish projects that are already in progress. Ideas and tasks that got put on the back burner can be revived now and carried forward. People you've worked with or for in the past may resurface now too, opening new opportunities for your professional life. Though you shouldn't start a brand-new job or long-term project during Mercury Retrograde, you can absolutely make progress on something you've already started!